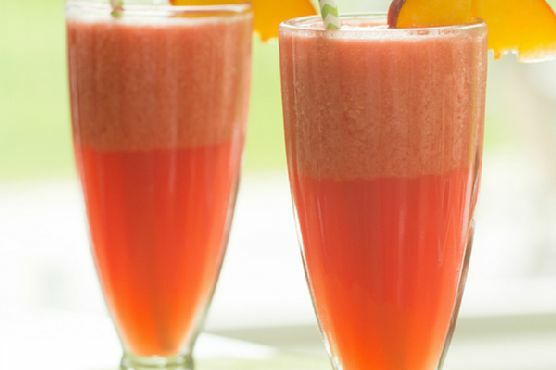 Place the watermelon, ice, sugar and peach juice in a blender and puree until smooth. Add the club soda and blend briefly to combine. Pour into glasses, garnish with fresh peach slices and serve.For a Spiked Version: Replace the peach juice with ¼ cup peach schnapps and ¼ cup vodka.